I love a bit of freezer paper stenciling. I first had a go HERE for Fathers Day, and here we are again!! I got the freezer paper out for a house warming gift, and picked up some very cute coffee mugs at Kmart to go along with them. If you're keen to try it, but haven't before... here's how. 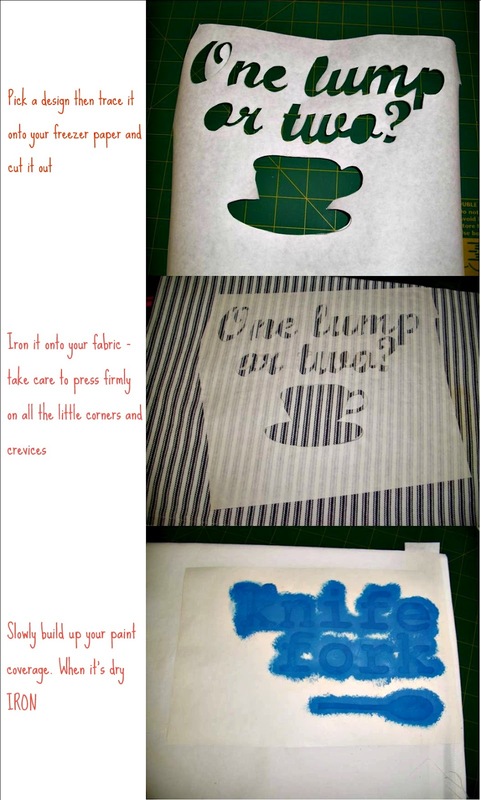 Have you tried stenciling? What do you think? I'm considering making some plastic stencils for repeat use so you've made some of your own I'd love to hear about it!! so elegant and smart looking - clever girl!! these are SO cute!!!! love this idea! No I haven't tried this yet but the results are always stunning and great to give as a gift. Oh, I love those! They turned out fabulous! Whoever the recipient is, she is very lucky.